The ability to store renewable or fossil fuel-generated energy is changing the face of power generation much the way that renewables are moving the world towards decentralised energy models. New pioneering approaches to storage and fundamental shifts in battery technology are vying for market share, creating more interest in storing power than ever before. How big is interest in power storage? In a word: huge. Consider recent evidence. In the UK, National Grid and the Electricity Storage Network announced 15-year contracts from utilities and renewable consortiums for power storage, signaling that storage tech is now so reliable (and more affordable) that it makes sense for long-term, national level programs. In a survey of venture capitalists and their latest strategies, Mercom Capital Group (US) found that in 3Q 2016, investors backed new storage companies six times more often than the level of funding offered to smart grid and energy efficiency companies. In mid-2016, Daimler Corporation announced it was pouring at least $500 million (USD) into its battery plant in Germany to support long-term electric vehicle (EV) expansion plans. Meanwhile, over at Tesla Energy, company leaders cemented a partnership with Panasonic and followed that by announcing later in the year that it would increase sales to subsidiary SolarCity throughout 2017. While the storage market has recently focused on emerging battery technologies and how to better meet rigorous charge/discharge cycles in high consumption electrical systems, the availability of new technologies and new approaches to energy management are changing the storage industry like never before. Even as conventional lead-acid batteries continue to lead in market in sheer numbers, new entrants are shaking up the market. The growing interest in storage has risen largely from several major sectors of the energy marketplace. While batteries for electric vehicles are pushing lithium-ion production, one of the largest needs outside EVs is to seamlessly incorporate renewable energy sources into the overall grid. Renewable power, often in the form of wind or photovoltaic (PV) energy, is unique in the fact it is not a constantly flowing resource. To accommodate generation variabilities, utilities need to manage power and level their loads. This can be ideally accomplished with resources to store power when it is generated cheaply for use when demand peaks and fossil-fueled generator power is most expensive. Community-based renewable energy systems and micro-grid power has similar concerns whenever their power feeds into a utility-scale grid, or has energy derived from multiple sources. Within the last 10 years new technologies have come into the mainstream that offer alternatives to lead-acid and lithium-ion chemistries, while other companies seek to maximize the efficiency of present and future battery technology. These capabilities are now seeing widespread interest due to the maturation process of renewable energy occurring globally, along with an awareness that conventional power generation systems need to more reliably manage community and regional power grids. Traditional forms of energy storage have faced technical hurdles that newer technologies claim to handle more capably, such as maintaining high efficiency during AC/DC conversion along with full access to state-of-charge power while avoiding 20 percent (or higher) discharge thresholds that are the norm with other systems. To be economically viable, storage technology needs to function 24/7, handle the rigors of wide temperature swings and also avoid capacity fade while minimizing the need to replace battery cells throughout a system's lifetime. Two companies that are showing promise in the form of investor confidence and a growing customer base are Powin Energy (Tualatin, Oregon, USA) and ViZn Energy Systems (Austin, Texas). While each are growing forces in the energy storage market, and both target industrial-scale applications including co-generation environments, their approaches differ substantially, again demonstrating how the sector is opening up to new ideas and more entrepreneurial models are gaining attention. Powin Energy utilizes the latest lithium-ion batteries paired with patented energy management systems that promise to enhance efficiency to a point that storage systems extend their lifetimes and maximize value for customers. ViZn Energy Systems has developed a unique, non-toxic zinc and iron-based redox flow technology that it believes is more effaceable while also extending the lifetime of storage systems to the point that ViZn offers the industry's longest warranty: 20 years. Describing itself as a leading designer and developer or safe and scalable energy storage solutions for utilities, micro grids and EV fast-charging applications, Powin Energy developed its patented Battery Pack Operating System (bp-OS) approach to bring a level of sophistication to energy management and battery monitoring that the company's VP and Chief Technology Officer, Virgil Beaston, described as "˜game changing' in comparison to earlier approaches. 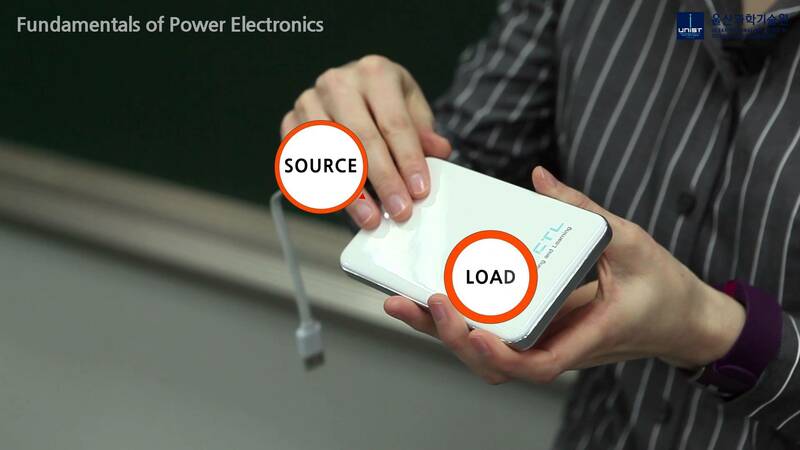 Powin says the benefits of its bp-OS, when combined with other proprietary applications, can extend battery life by actively and reactively balancing the cells, which gives utilities or PV plant managers insight never before possible. Powin Energy's approach to energy storage centers on conventional lithium-ion battery technology, but with a twist"”its software takes energy management to a new level. In addition to its bp-OS, Powin provides its proprietary Battery Odometer and Warranty Tracker to empower both plant managers (and their financiers,) with actionable data. Beaston said he believed his company's approach should lead to greater willingness within the investor community to back storage systems because they receive better data, both historical and real-time, so they can know what an expensive battery system is worth based on a lifetime that can now be calculated much more precisely. The marketplace has noticed Powin's approach. The company officially received a patent for its bp-OS technology in June 2016 that utilizes a unique algorithm to actively and passively balance batteries at the cell level, which results in fewer voltage differentials across a system's lifetime. Their approach also includes two other industry firsts: the odometer function to measure capacity degradation, and its Warranty Tracker to maximize uptime and to alert operators about possible issues, isolate problem zones, automatically file warranty claims, and avoid full-system shutdowns. 2016 has been a big year for Powin Energy. In addition to its patent award, the company received an infusion of $25 million (USD) from SF Suntech, a unit of Shunfeng Photovoltaic International Limited of Hong Kong; Shunfeng has an option to buy another 30 percent ($37.5 million) at a later date. The company announced in November that the University of Washington has ordered a 30kw/40kw battery energy storage system (BESS) for its Clean Energy Institute to be installed at the Washington Clean Energy Testbeds facility in Seattle. The company was also selected by the Southern California Edison electric utility to build 2 MW/8 MWh energy storage system in Irvine, California, that will be operational by the beginning of 2017. Taking a different approach to redox flow battery technology is ViZn Energy Systems, describing itself as commercializing highly scalable energy storage systems ranging from tens of kilowatts to mega-watt scale storage. Among a number of innovations it brings to market is the proprietary development of a non-toxic, non-flammable zinc and iron chemistry that it believes will advance flow-based high power storage systems across the industry. Its core technology should ease both site selection and permitting concerns because it employs safe, food grade non-toxic chemicals that are tolerant of extreme, high-temperature environments. ViZn says its approach also has the ability to simultaneously deliver high-power and long-duration services compared to other redox flow systems that typically excel at one or the other critical performance measures. To reassure the market and to distinguish itself from competing redox flow battery systems, ViZn commissioned a study by Black and Veatch, a leading engineering, construction and consulting company, to independently assess the company's Z20 and GS200 redox flow energy systems. B&V found that ViZn batteries outperform typical lithium-ion based chemistries at high ambient temperatures, that product chemistries also live up to company claims and that HVAC systems are not required to enable operation at high ambient temperatures among a host of findings relevant to the company's marketing assertions. ViZn Energy flow batteries have also seen widespread customer interest. The company's products were chosen by Hecate Energy, a leading United States developer of power projects, to supply a 2 MW zinc/iron redox flow battery system as part of ancillary services within the Ontario power grid operated by the Independent Electricity System Operator (IESO). Demonstrating scalability, ViZn also created a 128 kW/320 kWh redox flow battery system for the Idaho National Laboratory (INL), which is part of the Department of Energy's (DOE) national laboratory network. ViZn's flow battery system is part of a microgrid research, development and demonstration testbed. It is believed that the INL system is the largest energy storage project in the US. The ability to store generated energy is changing the way that utilities, renewable energy plant managers and consumers all think about accessing power. The growth of storage technology both in terms of investor confidence and technological diversity has helped reshape how society uses electricity much the way that renewable energy has changed how the world generates power. 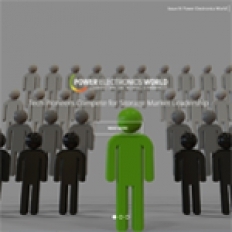 New pioneering approaches to storage batteries and fundamental new management technologies are growing the number of storage options, giving commercial and residential users needed and cost-effective alternatives. As prices continue to decrease, and as capabilities and efficiencies continue to increase, energy storage is becoming more viable, making it almost certain that energy storage will be part of everyone's energy future in the home, for business or at utility scale.